If you’re an Android user, grab your phone, pull up Google’s Search app or Google Assistant, and type “the1975..com” into the search bar to see a bizarre and recently discovered bug that will show your most recent text messages. The glitch, which was first pointed out by a redditor posting on the Google Pixel subreddit, results in Google’s Search tool displaying recent text messages sent by the user. Google is already aware of the bug and is addressing it, but for the time being, you can still prompt the odd response by typing in a number of misspelled phrases. The issue was first identified with the search term “the1975..com” but it has since been reported by the BBC that the phrase “izela viagens”—a misspelling of Portuguese travel agency Vizela Viagens—and “the1975#.com” will also trigger the strange response. A number of other variations on those phrases also appear to work, according to Reddit users. 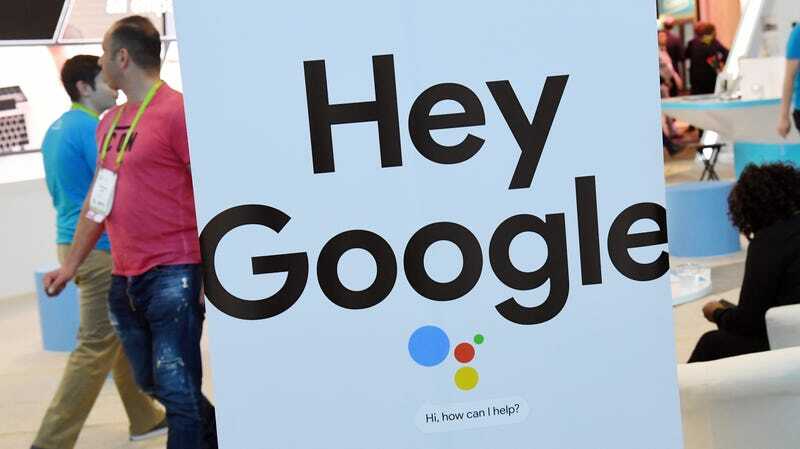 When any of those phrases are typed into Google Search app, Google Assistant, or other Android widgets powered by the company’s search tool (a redditor reported prompting the bug by typing the terms into the search bar on Pixel Launcher, Google’s first-party home screen experience for Pixel and Pixel XL phones), the apps respond by displaying recent text messages. Google’s Search tool is designed to show a user their text messages if requested—a feature that is meant to aid in hands-free device use for when you’re behind the wheel or your hands are otherwise occupied—and can be prompted intentionally by using the phrase “show me my text messages.” But obviously, the typos that result in text messages popping up are nothing like the actual command. There’s not really a privacy risk with the bug, as a user would have to already give permission to Google Assistant to view text messages. A malicious actor could then view them with the real command and would have no need to use the glitch to access the information. But it is certainly strange! Google said a fix for the bug “has been implemented and will roll out over the next few days,” so have your fun with it while you can.